I love it when different areas of my life start overlapping! I’ve been a runner for about 7-8 years but I’ve only really sewn running gear a few times (mostly because my mom knows what I like and gets good stuff on sale for me!). But I’ve got the itch to sew the lycra again, and so I made the first steps towards making my own running gear designs a reality. 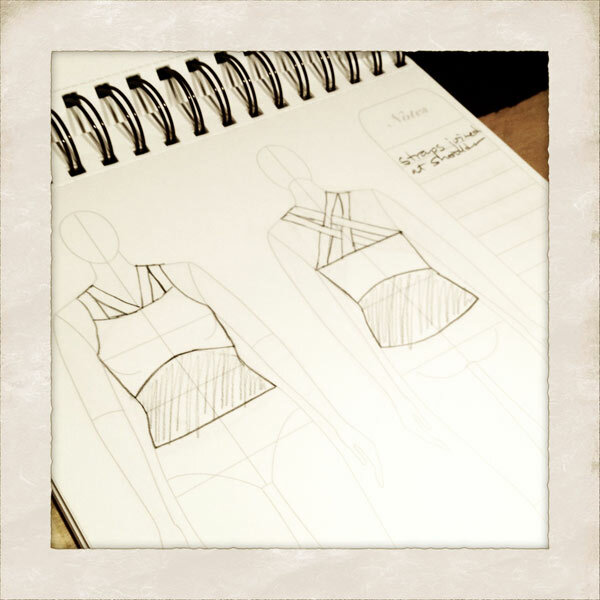 First step was to make quick and dirty muslins to check the fit and mark style lines. 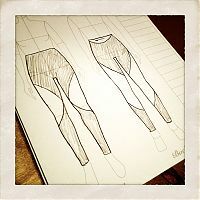 The Jalie 3135 skinsuit pattern was my basis for my running leggings (minus the top half and the front zipper opening!). I used the “silk touch” lycra jersey from Tia Knight as my muslin fabric here since it was the cheapest 4-way stretch she had, but it’s surprisingly really nice! It’s got a hand like a silk jersey, but seems a bit too drapey to be ideal in exercise gear, though it should be fine for the occasional accents or panels if I want to. The end result looks a bit like a liposuction patient (which is why I’m not modelling it!! ), but it definitely served its purpose! The crotch gusset from the skinsuit pattern was a bit of a PITA to sew on the overlocker, but the end result is surprisingly very good – no seams at the upper inner thigh where you might chafe, and extra range of motion there, too (more important for figure skaters than for runners though). So even though it’s a bit of extra work to sew versus a regular crotch seam, I’m keeping it in my final design. Once I had my marked muslin, then I transferred the changes to my pattern, and drew design lines to match my tech sketches. 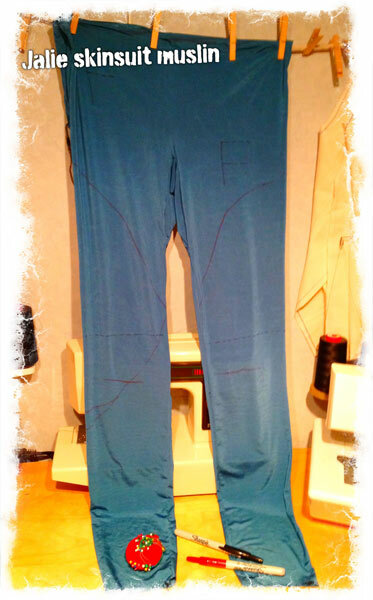 Then last night, I cut out all my fabric pieces and did most of the construction on a nice, non-muslin pair! There’s only the waistband and hems yet to do on these, so you may be blessed with a photoshoot if I’m not too knackered after my long run on Saturday (last one before Paris next weekend, eep!). 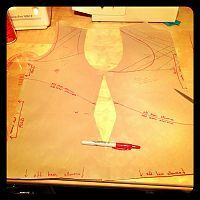 Then I wanted to do the same procedure with my running top/vest/tanktop/shell – make a quick muslin to check the fit and draw some placement lines to help guide my design lines. And I’m SO PROUD to say that I actually just whipped out the Winifred Aldritch book and drafted her basic jersey block (with zero ease) since it seemed faster than digging through my pattern archive for something similar. That Pattern Magic course was just wonderful for me!! I’ve got so much more drafting confidence now. While I was wearing this, I marked the various “normal” and “running” necklines, where my underbust is, where my bra straps go, and in the back where my bra band lies (ok, I got help with that last one!). And just like with Burda, I found my natural waist was about an inch higher than the standard measurements, so I marked that, too. 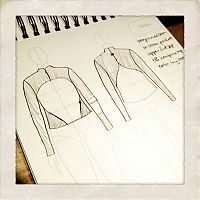 Once I transferred my true waist and other markings, I then traced off a fresh copy of front and back (the front & back are drafted the same apart from the neckline) then started drawing some design lines – red for a basic, scoop-front, racer-back neckline, and silver for more advanced lattice strapping like in my sketch. 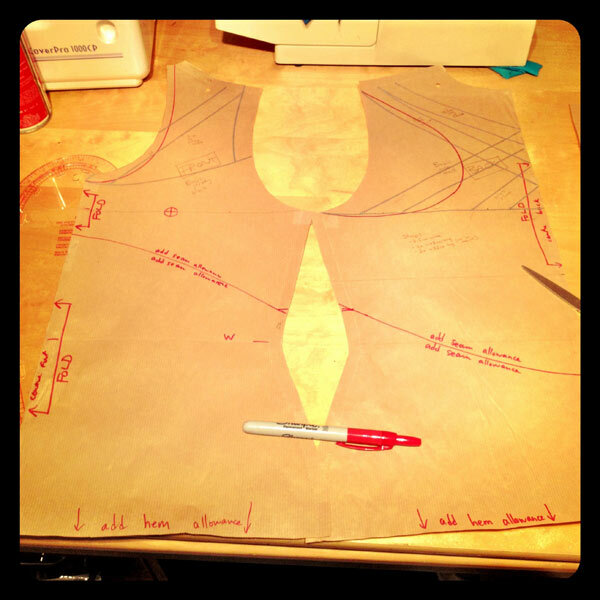 Earlier this week I cut out the fabric for my first vest, and the construction went really well until I got to the point where I needed to finish the neckline and armscye edges, and I ran into problems finding a finishing method that a) looked good and b) wouldn’t chafe. 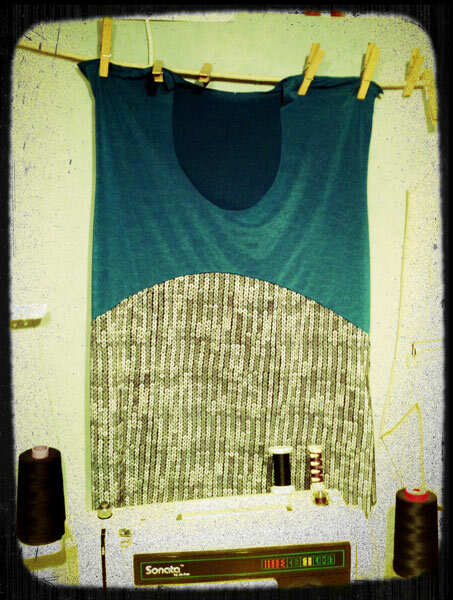 Overlocker/Serger – doesn’t look professional, but does the job, though it may stretch out over time. Serge on a folded strip, then coversitch over the seam (like a t-shirt neckline) – looks like a HOT MESS on the lycra, even with the coverstitch central rudder foot. So I went and investigated my RTW running tops, and they’re all bound with self-fabric and narrow coverstitched in place. This finish doesn’t seem to chafe me, so in my book, that’s a winner (things that wouldn’t irritate anyone in normal wear become a problem when it’s tight fitting, you’re sweating, and moving for 2+ hours!). The RTW bindings also feel a little stretchy, like maybe there’s elastic sandwiched in there (or maybe it’s just the lycra binding)? I’m not a fan of 95% of specialty sewing machine feet out there, which is why I’m hesitant to spend £80 for a glorified one here (I’d rather get an official Janome one than expend excess energy trying to get a cheaper, hacky one to work, thanks. My stress is worth paying the extra money if it works!). I’ve got some extra money due in a few weeks, so after consulting with the internet I decided I’m going to blow it on a Coverpro binder attachment (and Jaycott’s confirmed that everything is included with the binders, so no extra plate or foot is required). I got some really good tips from other activewear sewers on PR, so I’m feeling more confident about trying a binder attachment now. But until it arrives, my super awesome sequin running top sits unfinished! 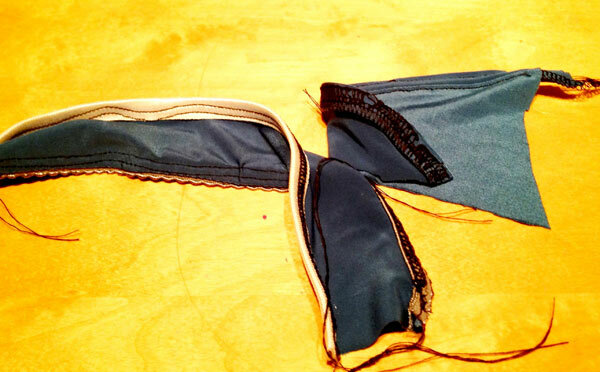 I’d rather this than screw up the edges now, when I like the fabrics together so much. And who wouldn’t want a sequin running top? (This one’s just a scoop neck, racer back version rather than the strappy version in my sketch). For the long sleeved top, I’m either going to draft the corresponding sleeve block for the bodice I just made, or just take a known-good Burda or Knip sleeve that I like the fit on, and go from there. I love the black supplex I bought on ebay (frankly, I’m considering making non-exercise trousers from it, too! 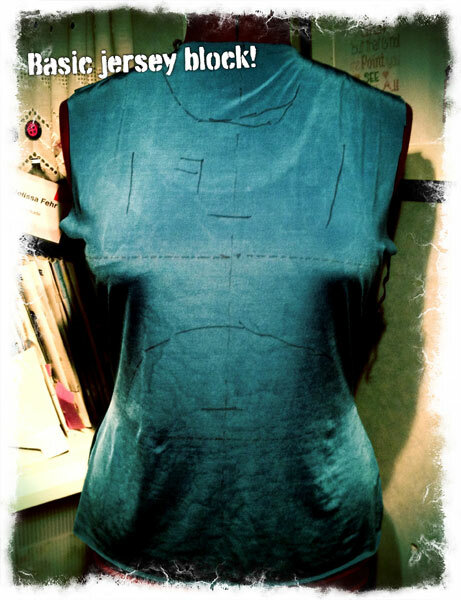 ), but I’m not sure what fabric to use for the body of this top. I think I’ll have a look in my “large scraps” knit pile and see what I can find! In case you were wondering, my Run dem Crew challenge has been delayed, so I’m now just hoping I can finish the leggings and long sleeved top to wear in my race next weekend (omg!) in Paris. Oh, and if any Londonders are interested, my usually-super-oversubscribed crew are doing a special Leap Day run next Wednesday that’s open to anyone. Though if you’re coming, drop me an email so I know to look out for you! 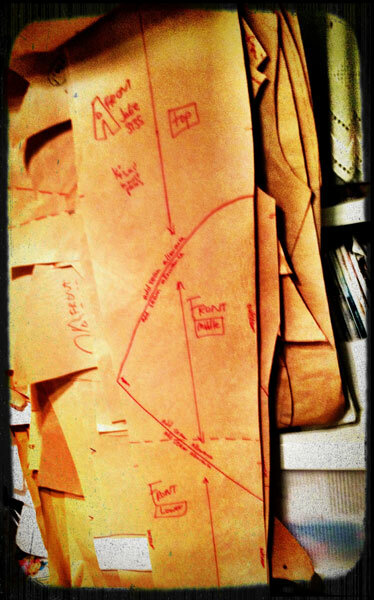 Separator image Posted in In Progress and tagged with drafting, exercise, muslin.